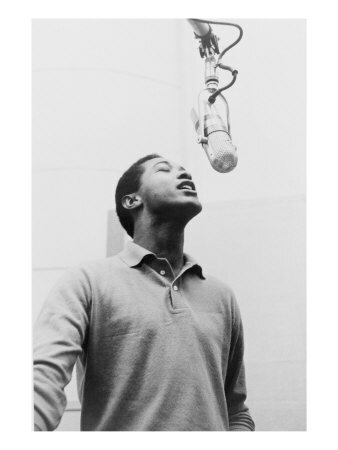 Marc shares some of what happened on this day in history, including the death of Sam Cooke, the arrest of Bernard Madoff for his role in a $50 billion Ponzi scheme, and the birth of writer Grace Paley. 1706 – An act was passed in New York that encouraged the baptism of slaves. The act did not, however, free any slaves. 1913 : In Moose Jaw W.S. Fiddler, who was moving some theatre equipment, died as a result of his excessive overindulgence in cheese. He fell down dead in from of the Majestic Theatre at the age of 50. Doctors claimed that acute indigestion from eating excessive amounts of cheese led to heart failure. 1964 – Che Guevara speaks at the United Nations General Assembly in New York, New York. 1971, UK comedian Benny Hill was at No.1 on the UK singles chart with the innuendo-laden novelty song, ‘Ernie (The Fastest Milkman In The West)’, giving Hill his only No.1 and the Christmas No.1 hit of 1971. The song was originally written in 1955 as the introduction to an unfilmed screenplay about Hill’s milkman experiences. 1972, James Brown was arrested after show in Tennessee for trying to incite a riot. Brown threatened to sue the city for $1m, the charges were later dropped. 1979 : Huber Matos, a favoured lieutenant under Castro, came to despise his former leader. Matos was to spend 20 years in prison under inhuman conditions because he didn’t’t believe in what Castro was doing. Matos claimed that Castro became communist rather than trying democracy because under communism he could rule Cuba for a lifetime. 1989 – The three white men convicted of the 1986 death of 23-year-old Michael Griffith had their convictions reversed by a State Appeals Court in New York. The reversal was due to a judge’s misinstructions to the jury. 1993, Janet Jackson started a two week run at No.1 on the US singles chart with ‘Again’, her 7th US No.1, a No.6 hit in the UK. 2004 : After falling ill in September 2004 doctors in Austria determined that Ukrainian presidential candidate Viktor Yushchenko had been poisoned with dioxin, which caused the severe disfigurement and partial paralysis of his face. 2005 – Cronulla riots: Thousands of White Australians demonstrate against ethnic violence resulting in a riot against anyone thought to be Lebanese (and many who are not) in Cronulla, New South Wales, Australia. These are followed up by retaliatory ethnic attacks on Cronulla. 2006 : Iran’s foreign minister rejects criticism of the two-day conference being held in Iran that examined whether the Holocaust actually happened. Manouchehr Mottaki told its participants that the event did not seek to confirm or deny the Holocaust, but but allow people to “express their views freely”. Israel’s prime minister has condemned the gathering, and Mahmoud Ahmadinejad has questioned the scale of the Holocaust, in which six million Jews died. 1916, Born on this day, Perez Prado, (1955 US & UK No.1 single ‘Cherry Pink & Apple Blossom White’). 1928 – Lewis Howard Latimer,African-American inventor, electrical engineer, and draftsman, died in Flushing, NY. In 1876, Alexander Graham Bell employed Latimer, then a draftsman at Bell’s patent law firm, to draft the necessary drawings required to receive a patent for Bell’s telephone. In 1881, Latimer patented the Incandescent Electric Lamp using tiny carbon wires (carbon filament) to light the bulb. 2012 : Russian opera singer Galina Vishnevskaya died at the age of eighty-six. Vishnevskaya had a forty yea rcareer and had performed many soprano roles in classic operas.